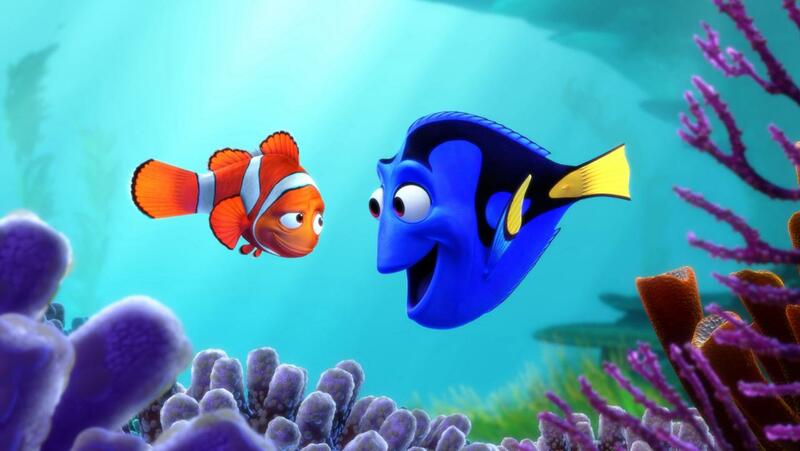 Is finding your website on google like searching the ocean for Dory or Nemo? Your website does not have enough keywords in the right places on your website for google to rank you. So get cracking on your content keywords. Your website can’t be found by google because there are no inbound links to it. This is the biggest issue for brand new websites. So get adding your website to local business directories. Step 1: The user searches for a site using terms (called keywords) that describe what they are looking for. The search engine displays a list of results (called SERPs) that show your page title, a brief description and the link to your website. The user scans the results and selects a link to your website. They browse your site and may take your call to action. Often the user may not yet be ready to take your call to action or purchase as they are still “shopping around” so they leave your website… but due to the great design and content of your site they remember your brand name. Step 2: The user is ready to take the next step, they have “shopped around” and decided they want to get more information / purchase from you. Often the user will remember your domain name or have bookmarked it so they can go directly to your site… but sometimes they go to their search engine and type in your brand name as keywords. The search results show a link to your website which the user selects and follow directions on your site to the call of action. Goal! It is the keywords used in Step 1 that we consider to be the target keywords as they lead to the sale conversion. As described in Step 2, ranking well for your brand name is still important and an easy to remember domain name comes in very handy. Which keywords to choose? There are actually 2 types of keywords that need to be optimized for your website to stand out: big head keywords, and wide-ranging tail terms. Most website SEO strategies target the most competitive / popular keywords (ie a flower shop will target “florist”) – we call these head terms / head keywords. For many websites (especially new ones) this can be a bad SEO strategy because it is harder to rank well in Google for these popular terms. Your competition has an older trusted site, brand recognition, lots of content, years of conversion data, and 1000s of inbound links. If you do rank well for a head keyword, it can bring a lot of traffic to your website. BUT more visitors does NOT always equal more sale conversions. Searches on head terms often bring visitors to your site that are not looking for your service (ie they maybe looking for a florist in another location, or for a florist training course etc). Targeting a group of keywords (ie a flower shop will target “long stem roses delivery” or “fresh roses gold coast” or “online florist same day delivery”) – we call these long tail search terms / long tail keywords. Long tail keywords can define your niche, highlight your product or service, state your location and provide more targeted information to your potential customer. As users become more experienced with search engines they begin to expand upon head keywords, searching using long tail keywords, as the search is more likely to give them the results they want faster. PLUS, Google personalises search results, so location is a very important keyword. Long tail keywords generally have less competition so your website will rank higher and faster on Google. Long tail keywords deliver less overall traffic, but the traffic will be concentrated to your specific target market which should mean more sale conversions. When writing your website content remember, each page needs keywords. Decide your keywords before writing any text. Keep them handy when writing so you can ensure you are using your keywords repetitively. Examine the competition. Look at the websites that rank in the top ve spots for the terms you are targeting. Think about emerging trends. This may add to your brainstorming list, or it might indicate which keywords would make your SEO campaign more likely to succeed. Don’t forget about any colloquial words or slang that potential customers may use in search engines. 10 search phrases relevant to this page only separated by a comma. Put them in order of importance – most relevant rst and least relevant last. Each page should have a different set of keywords so you capture the largest possible market. Many words maybe repeated on all or various pages. Your page title MUST include the top 3-5 keywords listed. Your page description / summary MUST include the top 3-5 keywords listed. Your main content MUST include all the listed keywords a few times each. Links within the main content or menu should include the listed keywords. You must be mindful of your inbound links. If you’re an lawyer and your site contains links from irrelevant websites, visitors and google will think you’re unprofessional. Links to your website should be from sites which are valuable and relevant. Prepare your business listing information.